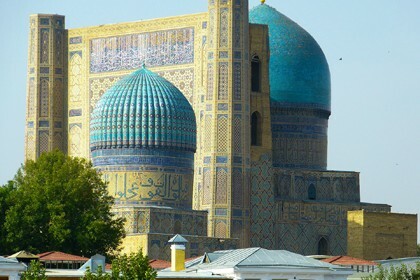 Near the Kalta-Minor minaret, construction of which is connected with the name of Muhammad Amin-Khan, another building is located that has his name. 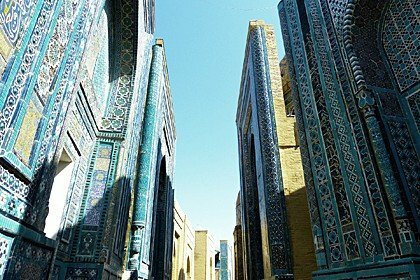 It is the largest madrasa in Khiva that went down in history as the madrasa of Muhammad Amin-Khan. Its construction date falls on 1845-1855, so by the time of Khan’s death this part of his ambitious project was successfully finished. 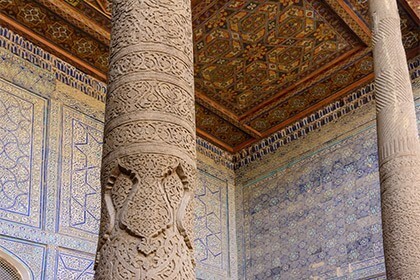 It is necessary to say that the intention of Khiva ruler to build an educational institution, notable for its splendor, was actually implemented here: five majestically towering domes, towers at the corners, luxury finish with elegant majolica patterns, amazing beauty of the mosaic work of artisans, doors, decorated with the most skillful carving with depicting twisty ornaments. 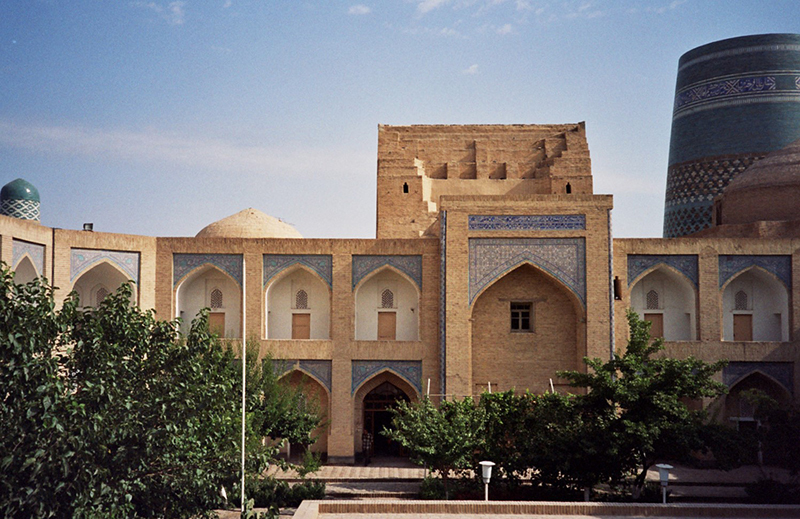 Inside the madrasa, there were 125 students’ cells, consisting of two rooms and accommodating 260 students. On the second floor of the building, cells had small balconies. 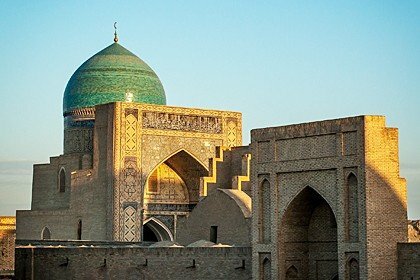 The largest madrasah in Khiva was at one time the richest educational institution and played a significant role in the Muslim world in terms of religious education. Today the hotel is located in the building, so you can both just visit and stay overnight in a luxury building, built in the mid-19th century.